Looking for a job in Tuolumne County California? The following is a directory of Tuolumne County top employers with direct links to the jobs they offer. This directory includes local city job links as well as the larger job posting boards. Tuolumne County's primary city for this review is Sonora. Only sources that have job listing pages, business directories, and/or legitimate human resources contact listings are provided below. Tuolumne County has an ongoing array of employment opportunities available. Here you may find job openings such as Fiscal Technician (MSS), Legal Assistant, Public Health Nursing Jobs, Victim Witness Advocate, Office Assistant, Behavioral Health Worker, Juvenile Corrections Officer, Recreation Leader, Deputy Sheriff Recruit, Environmental Health Specialist, Softball Empire, Assistant Facility Coordinator, Behavioral Health Clinician, Fire Prevention Inspector, Senior-Mid-Level Practitioner, and Lateral Jail Deputy Sheriff. Check for current job listings. The City of Sonora provides employment information for the positions of Police Officer Recruit, Lateral Police Officer, and School Resource Officer. Visit their site to view the latest job postings. At the BLM, our people are our greatest resource. Whether you have a background in science, engineering, law enforcement, fire management, business or another related field, we could use your skills and expertise to help manage our country's public lands and resources. The U.S. Forest Service, Stanislaus National Forest, is seeking highly motivated individuals interested in a job in wildland firefighting. Sonora Regional Medical Center offers a high volume of exciting career opportunities on an ongoing basis. Here you may find job openings for positions such as LVN (PD) Per diem, Home Health Aide Per Diem, Speech Pathologist Per diem, Nurse Practitioner, Physician Assistant, Certified RN Anesthetist (CRNA), Registered Dietitian, Scribe, Home Health Aide (Home Health), Medical Assistant, Food Service Associate, Surgical Technician, Physical Therapist, Radiologic Technologist, Physical Therapist Per Diem, Echocardiographic Technician, Pharmacy Technician, Patient Access Representative, Clinical Psychologist, Endoscopy Technician, Registered Nurse RN ICU, Registered Nurse RN Per Diem, Registered Nurse RN Care Manager, Registered Nurse RN Hospice, Registered Nurse RN) OR Variable Shifts, Pharmacy Assistant, Durable Medical Equipment Delivery Technician, Registered Nurse RN Obstetrics Acute, RN Infusion, Physician Liaison, Lead Pharmacist, Pharmacy Assistant, Pharmacy Technician (Outpatient), Radiologic Technologist Per Diem, Certified Nursing Assistant Per Diem, CNA Job, Patient Access Representative, OB Technician, Certified Nursing Assistant CNA Skilled Nursing Facility, Certified Nursing Assistant Medical/Surgical, Certified Nursing Assistant Skilled Nursing Facility $1,000 Bonus, Environmental Services Associate, Certified Nursing Assistant Sign On Bonus, Medical/Surgical Nursing Jobs, and Dental Assistant. Tuolumne County Behavioral Health and County Public Health Department opportunities are listed on the county jobs page. Careers found include positions such as Public Health Nurse, Clinician, Practitioner, and Behavioral Health Worker. Tuolumne Me-Wuk Indian Health Center is a non-profit primary care health center, owned and operated by the Tuolumne Band of Me-Wuk Indians. Skyline Place Senior Living is located in Sonora, California. Openings found included Caregiver, Medication Aide/Tech, Housekeeper, and Kitchen Prep. Avalon Health Care was hiring for the positions of Unit Manager Nurse RN, Ward Clerk, Recreation Assistant, Maintenance Director, Non-Certified Nurse Assistant CNA Classes, Registered Nurse RN, and Certified Nursing Assistant CNA. Sierra Emergency Medical Group employs Board Certified / Board Eligible Emergency Medicine Physicians, Family Nurse Practitioners, Physician Assistants, and Scribes. Tuolumne County Superintendent of Schools had employment listings posted such as Executive Administrative Analyst, Adult Education Summer Teacher, High School Teacher, Summer Teacher, Coordinator Student Support for Success, School Principal, Coordinator Special Project Math Coordinator, Teacher Visual Impairments/Orientation and Mobility Specialist, Superintendent/Principal, Temporary School Nurse for ESY, Certificated Substitute Teacher Consortium, Speech Language Pathologist (SLP), Occupational Therapist Special Education, and Substitute Instructional Assistant Special Education. Summerville Union High School District lists all Certificated, Classified, Administrative, and Coach openings on EdJoin. Sonora Union High School District had open positions available for Math Teacher, PE Teacher, Girls JV Water Polo Coach, and School Custodian. Big Oak Flat-Groveland Unified School District had listings for Teaching Princicpal and School Bus Driver. Check for new listings. Columbia Union School District had postings for Substitutes-Instructional Technician / Yard Duty, Elementary Teacher, and Principal. Gold Rush Charter School was hiring. Jobs found included Instructional Assistant, K-8 Classroom Teacher, On-call substitute Instructional Aide, High School Teacher Pool, and Independent Study Teacher. Columbia College had many career opportunities on this review date for faculty, adjunct faculty, and classified support staff. 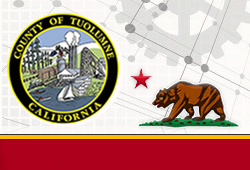 The Tuolumne County Chamber of Commerce is a good resource to use for finding top employers, community profile information, demographics, map directory of local businesses, and the chamber has a job search page that may periodically post open positions.